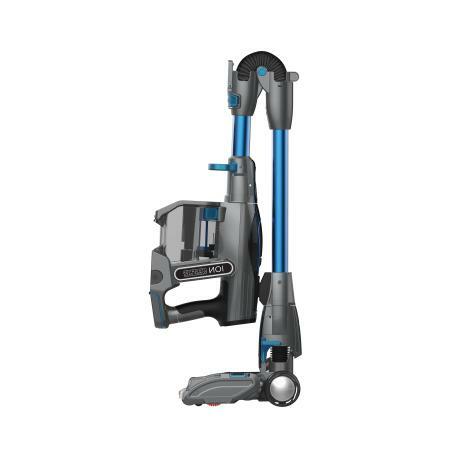 If you're looking for a quality cordless vacuum that doesn't take up too much precious storage space when it is not in use, look no further than the Shark® IONFlex™ 2X DuoClean™ Cordless Ultra-Light Vacuum. This powerful vacuum cleaner makes easy work of keeping your floors clean and is super-simple to use. It's easy to see why this powerful cleaning tool is listed as the top cordless vacuum editor's choice for 2018 on Helpful Habitat. If you've tried cordless vacuum cleaners before and have been less than satisfied with their performance, you're likely to be pleasantly surprised by this model. 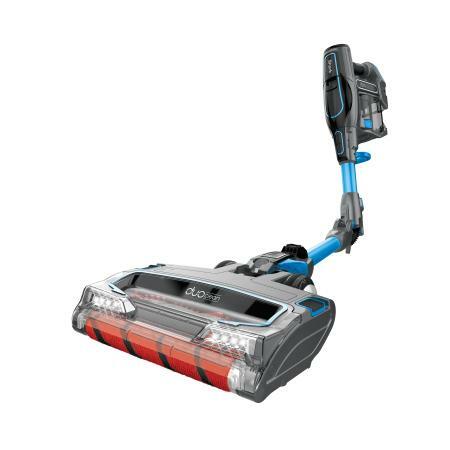 The Shark® IONFlex™ 2X DuoClean™ Cordless Ultra-Light Vacuum does a great job cleaning floors, and that is a primary reason that TechGearLab described it as "by far the best stick vacuum that we have tested." This powerful cordless vacuum cleaner has a variety of features that make it a standout among cordless units. Maximum flexibility: This model has Shark's MultiFLEX™ Technology, which maximizes flexibility and reach. The unit's wand actually bends, so you can get the angle you need to clean typically hard-to-reach areas. It even works flat on the floor, which makes it very easy to clean the space beneath beds and most furniture. You can also easily detach and re-attach the wand to switch from a floor model vacuum to a hand-held unit. Cleaning power: This device has maximum cleaning power thanks to the fact that it has both a soft roller and a bristle brush. Shark refers to this combination of features as DuoClean® Technology. The vacuum works effectively on carpet and smooth floor surfaces. It does a great job picking up everything from tiny specks of dust to larger particles that accumulate on floors. It has a range of settings, so you can adjust performance to your specific cleaning needs. Two batteries: One of the common frustrations typically associated with using a cordless vacuum is running out of battery power. That's not a problem with this vacuum, as it has what Shark calls a 2X ION Power Pack System. This system includes a second lithium-ion battery that is removable and rechargeable. This means that you can have one battery charging while the other is powering your appliance. When the one in your vacuum runs low, just swap the batteries out and keep going! Ease of storage: This household appliance needs only minimal storage space, as it folds over for storage in the upright position. It takes up very little closet space, which is not something that can be said for most vacuum cleaners. It also has a handle positioned such that it is very easy to carry the unit, which weighs less than nine pounds, when it is in position for storage. No matter what your floor cleaning needs are, this powerful cordless vacuum is a great option to consider. It can handle the floors in most houses, and can also be used for other purposes. For example, HouseholdMe points out that "the handheld feature works great for automobile detailing." If you're looking for a cordless vacuum that really works, this model is definitely one to consider. Note: The author received a Shark vacuum at no cost for review purposes. The opinions presented here are her own.